This ad was posted on July 4th. This ad is now closed. 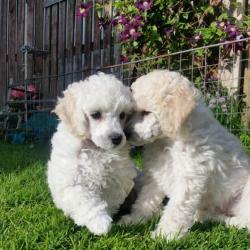 Pure white toy poodle puppies. There is 1 female and 1 male puppy ready to go to new home. They have been microchipped, vaccinated and health check up. All recorded on log book from vet. The dogs are great temperament. 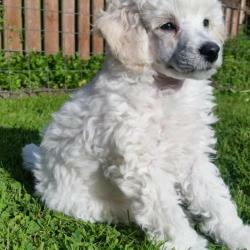 Puppies are hypoallergenic non shedding. The parents can be seen as they are family dogs. The father of puppies is registrated in Irish Kennel Club. The mother is brought from another country. To find more information text or call. Note! This ad is now closed. 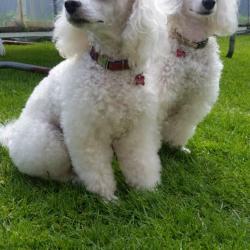 See other Poodles for sale. 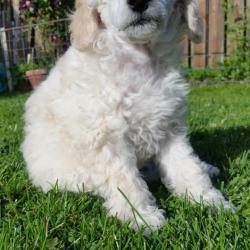 See other Poodles for sale.